"For me, the message is: At the intersection of difference and division, when justice, equality and democracy are inserted, love and unity is created in communities." The List’s Project Spotlight column features unparalleled projects created by our forward-thinking List members. By going straight to the source—and having the designers demystify the methods behind their own designs—we hope to enlighten and inspire our creative audience to further push the boundaries of what is possible in the realm of design. Though there may be a shortage of Necco candy conversation hearts this year, Reddymade Architecture & Design has created a visual valentine that is filling the sugary void—and is, in fact, far more likely to incite thoughtful discourse than the powdery sweets themselves. 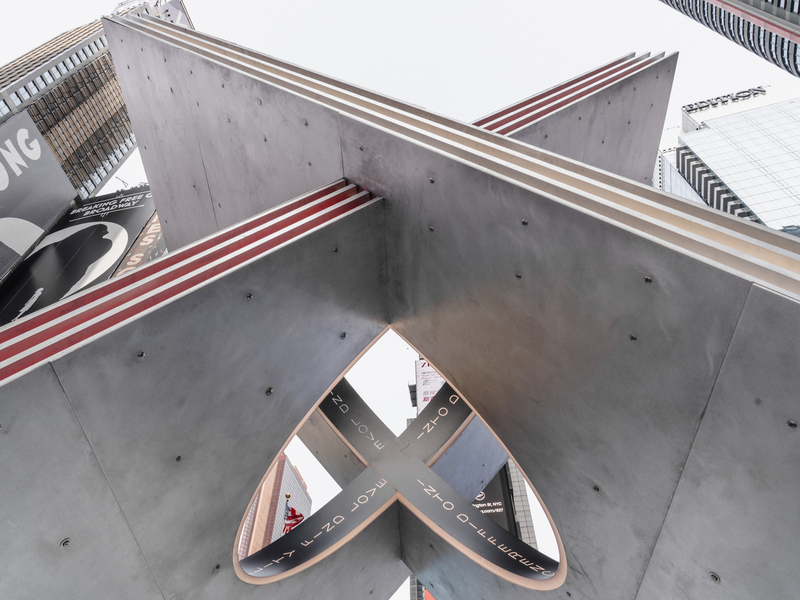 “X,” a submission by Reddymade, was the winner of the Times Square Valentine Heart Design Competition (curated by AIA New York and Times Square Arts), beating out seven other finalists for the top prize: a monthlong installation in the heart of Times Square. Allow Suchi Reddy, founder of Reddymade, to walk you through the firm’s recently erected sculpture, on view through Feb. 28. Reddymade Architecture & Design is a member of The List, the destination for all things Surface-approved. Want to join The List? Contact our team to find out how to apply. Inspiration: I was greatly inspired by the brief for the project. It asked the eight selected participants to ponder the expression of love—not only in a romantic context, but also as an expression of justice in one’s community and tenderness in private—and I began to think about how to express the power of love. In times of rising xenophobia and division in communities around the world, this idea resonated with my entire team as being both timely and poetic—and I was inspired to make an installation that was not just beautiful or interesting, but meaningful. With the iconic context of Times Square as a crossroads of the world, we set out to explore what happens tectonically at the intersection of difference and unity. Blueprint: The search for simplicity in this process revealed the form of our proposal: two converging planes that together form an iconic X, intersected by a third “virtual” shape, a cylinder, which creates a heart-shaped [negative] space. For me, the message is: At the intersection of difference and division, when justice, equality and democracy are inserted, love and unity is created in communities. We partnered with the experienced fabricators at Bednark Studios, Reveal Design Group and Brooklyn Research to make X come to life. 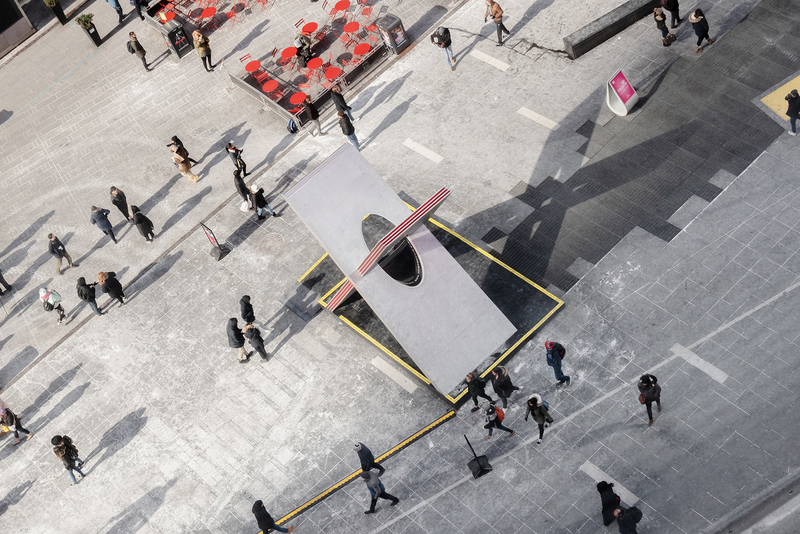 Bednark’s heroic team first built a mockup of the installation at their warehouse space in the Brooklyn Navy Yard, before disassembling and rebuilding it in Times Square during the polar vortex that the city endured. Materials: The outer shell is clad in ¼-inch thick aluminum plates. To create the X’s glowing effect, high-intensity LED lighting illuminates the edges and rounded openings where the two planes intersect. The lighting is connected to a matrix of sensors embedded beneath the steel floor and on its surface that detect the approximate number of visitors. The lighting at the heart will brighten and dim based on the number of visitors that interact with the structure, allowing for the organic nature of a crowd to be visualized and influenced in real time. “X” is fabricated by Bednark Studios and its lighting system is made possible by Reveal Design Group and Brooklyn Research, and generously supported by Philips Color Kinetics and Q-Tran. Challenges: The project suffered from all the usual challenges for any architectural project: budget and scheduling with the additional [challenge] of limited construction time on site in a highly trafficked location—with 350,000 pedestrians passing through Times Square daily—and the unexpected [challenge] of extremely cold weather, which affected materials, sensors, and build time. It was incredibly inspiring to see the entire team and all our collaborators overcome these challenges to create a sculpture that is now spreading the message of justice, equality, and love to people—not just New Yorkers—but visitors from around the world. Uniqueness: This is the 11th annual Times Square Valentine Heart Design competition. 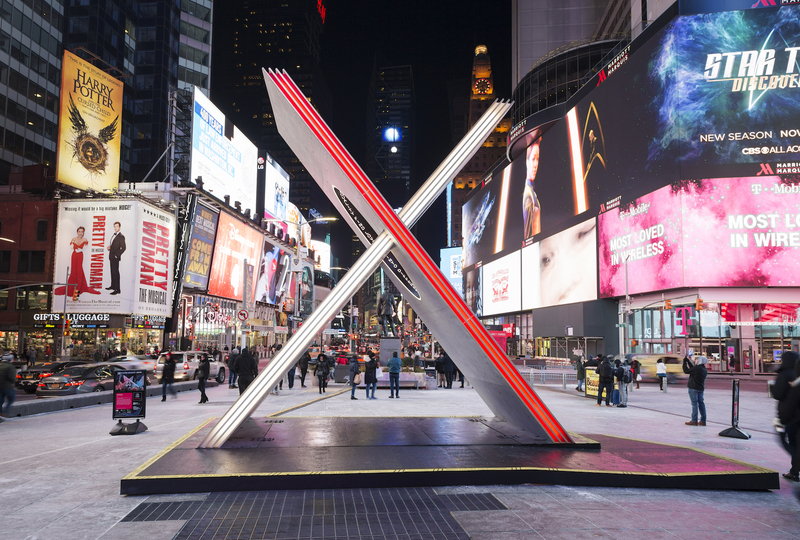 We created the largest and tallest “X” sculpture ever displayed in Times Square for the annual installation. Rounded openings at the crossing of the planes combine to form a heart shape when viewed from different angles, being not an obvious heart—but a powerful one. The inscription at the hearts center (“Into Difference, Add Equality, Find Love, Don’t Forget the Flowers”) explores how love within communities can manifest through connecting diversity and equality. Much like the convergence of lines in an X, people from all backgrounds cross paths in Times Square. Our design offers a purposeful moment for further exchange and connection.